As if the beach didn’t need brightening up already, Tesalate Towels are here to take your seaside relaxation to a whole new level. Coming in an extensive range of bold colours and loud prints, we had trouble picking out just a couple of our favourites. 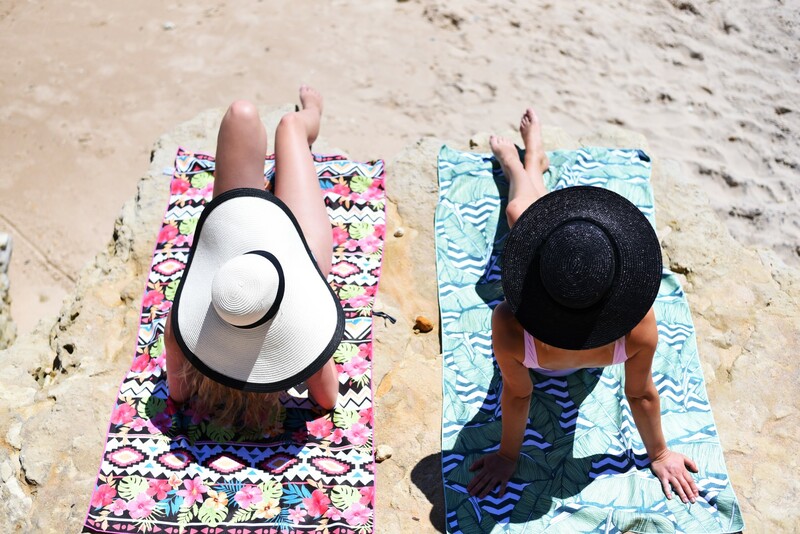 With Kristen opting for the bright green ‘Leaf Me Alone’ towel and Mel going for the colourful ‘Montego Bay’, we embarked on a beach adventure with our eye-catching new beach buddies. Not only did these bad boys make us look stylish as we sunbaked, they also served to be quite purposeful by being light in weight to carry and drying faster than your average towel. The smart textile technology used to design Tesalate towels also meant less time shaking the sand out of our towels and more time soaking up that summer sun. With such colourful new additions to our beach bags, we couldn’t miss an opportunity to snap a little photo diary! Kristen carries the ‘Leaf Me Alone’ towel ($79) and Mel carries the ‘Montego Bay’ towel (currently sold out). Head to https://au.tesalate.com/ to purchase your own stylish Tesalate towel!